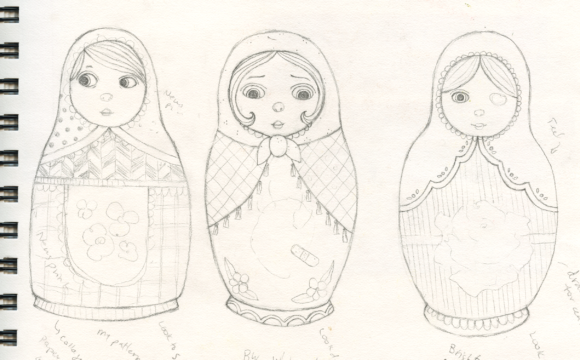 I have always had a fascination with Matryoshka dolls. I love that they're made of wood, I love their folksy patterns and colours, I love that they're Russian, and I love that they nest inside of one another. I've managed to acquire a small but diverse collection over the years so I'm not sure why it didn't occur to me until recently to draw them. 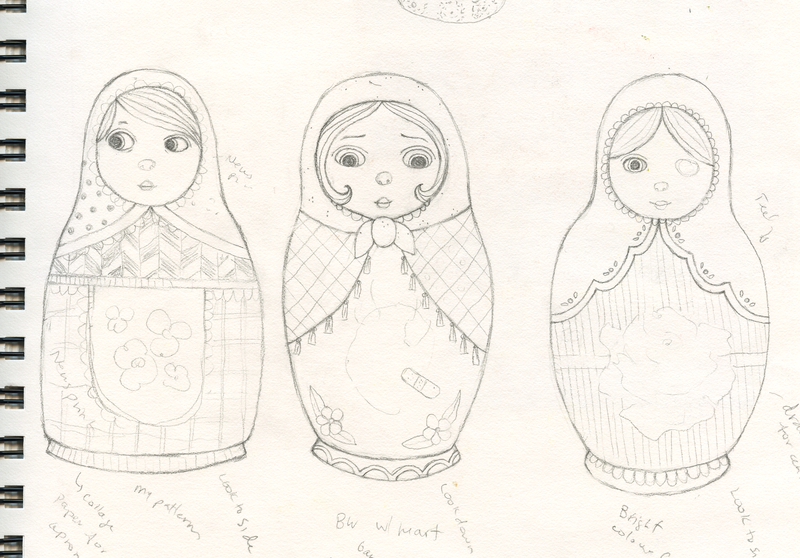 I started sketching them last fall and came up with a plan for 3 paintings: one would be monochromatic and have something unusual on the belly, one would use lots of collage and drawn patterns, and one would be my take on a more traditional matryoshka. I have just finished all of them this week and will be making prints to sell at the Calgary Expo, which is happening at the end of April.